Hitzer model 55 freestanding stove exploits radiant heat output with basic traditional design. Like all Hitzer products, this stove is constructed and built with Amish craftsmanship that will be sure to last. Utilizing the basic appearance and traditional design this stove was made to meet our customer’s needs. With a basic box-like steel structure, this stove is extremely customer friendly and heat efficient. Hitzer model 55 has a large firebox, to provide multiple alternative fuel size capabilities. The model 55 stove has a btu rating of sixty thousand btu’s, and is capable of heating up to two thousand square feet. With the simplicity of this stove, it requires no electricity to operate. Hitzer model 55 is an extremely low cost stove, with a high value of heating satisfaction. Hitzer Model 82 freestanding stove demonstrates traditional design and originality. Model 82 is often described with consistency and heat satisfaction. Hitzer model 82 originated as the original Hitzer Stove. Utilizing the basic appearance and box-like steel structure the Hitzer model 82 is extremely customer friendly and heat efficient. Being considered a low cost, cost efficient stove, this model still has the capabilities of producing over one hundred thousand btu’s, and heating ability to heat over twenty-five hundred square feet. The Model 82 has the largest firebox of all the Hitzer models, which allows for a variety of alternative fuel types and sizes. Because of the simplicity of the stove it requires no electricity and has no moving mechanical parts. Over the years the Hitzer Model 82 has exemplified consistency, simplicity, and satisfaction to create hundreds of warm and happy friends. Hitzer 30-95 EZ-Flo Hopper Stove is an outstandingly efficient and convenient heating source. With a thirty pound hopper this stove has extended long burns and produces over 60,000 btu’s of evenly warm temperatures. The advance technology of a removable hopper is an added convenience of this top choice stove. Like all Hitzer stoves, the 30-95 is thermostatically controlled, and provides heating capabilities with out electricity. With heating capabilities of up to 2000 square feet the EZ-Flo meets your heating needs, as well as provides beauty and charm to one’s home. The full view firebox window allows easy viewing that creates cozy warm relaxation. With the color of stove to match your home, the Hitzer 30-95, will decorate your home, produce cost efficient heat, and create a warm and soothing environment. Experience the warmth and satisfaction from the Hitzer 254 freestanding stove. This stove is commonly described by efficiency, versatility, and convenience. Hitzer model 254 is capable of heating up to two thousand square feet and producing over sixty thousand btu’s of evenly warm temperatures. 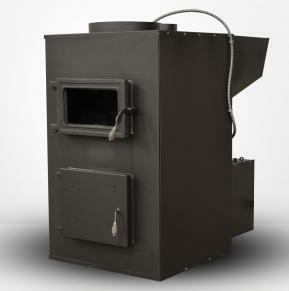 With a twenty inch wide and thirteen inch deep firebox and unique baffle plate design the model 254 allows for versatility and capability of heating with multiple types of fuel choices and sizes. Because of the convenient size of the stove, this stove can be located in just about any area of your home. The full-view firebox window allows for comfort and warm relaxation provided by the soothing view of the fire. With the beauty and outstanding heating capabilities of the Hitzer model 254 this stove will be sure to make a house a warm and cozy home. Hitzer E-Z Flo 50-93 hopper stove combines exceptional heat, with modern design. Because of the EZ-Flo hopper design system this stove provides long hours of continuously even heating capabilities, with little to no maintenance at all. This stove can produce over 100,000 btu’s and 2,500 square foot of heating capacity. With the EZ-Flo removable hopper design this stove meets customer satisfaction with quality and convenience. The 50-93 provides hours of warmth and relaxation even on the worst of weather days. With no moving or mechanical parts this stove can be used during power outage. Enjoy the warmth and glow of the fire through the full-view firebox window, while experiencing the warmth of this exceptional heating stove throughout the entire house with the optional 210 cfm blower. The exterior grate shaker and removable ash pan allows for quick, easy, and clean removal of ash. Choose the color of your choice of stove and allow the EZ-Flo 50-93 to enhance your homes heat, while cutting heating cost. This stove will be sure to make warm friends. first-class originality, and extreme customer satisfaction. The 503 fireplace insert is growing in popularity because of the unique and convenient qualities this stove has to offer. Customers are utterly amazed by the qualities and capabilities provided by the 503 E-Z Flo insert. These unique qualities consist of size, structure, convenience, and efficiency. Developed to comfortably fit into almost every standard masonry fireplace, the 503 fireplace insert provides a large amount of heat output, while enhancing the beauty of a traditional fireplace. Built for customer satisfaction and convenience the Hitzer 503 is equipped with a thirty pound E-Z flo hopper design system. The 503 has grown immensely in popularity because of this unique and popular hopper insert design. With advance design to exploit efficiency the 503 insert utilizes the baffle plate design system as well as incorporates three air intake locations to maximize heat and efficiency. With heating capabilities of up to three thousand square feet, and one hundred thousand btu’s the Hitzer 503 E-Z Flo Fireplace Insert will greatly enhance one’s home in beauty while producing cost efficiency and superior heat satisfaction. The Hitzer Energy Master I Stoker is one of the most efficient and technologically advanced stoves on the market today. With intuitive design and new technology the Hitzer 608 Stoker is a customer’s top choice stove. As a HPBA Vesta Award Finalist the 608 Stoker has the credibility, intuition, and capabilities to go far beyond your expectations and needs. You will be amazed by the overall capabilities of such an efficient easy to operate stove. By the astounding Coal-trol design system it has incredible functions that allow you with complete control of your fire. Having a digital thermostat this enables push button control of your stove that requires no labor involved. With the technology of the Coal-trol combined with the intuition of the Stoker, the stove will maintain the exact temperature your Coal-trol is set at. The 608 Energy Master I Stoker has the unbelievable capability of producing as little as 7,000 btu’s or up to 90,000 btu’s of consistently warm heat. By having a 320 CFM blower you will be sure to feel the warmth of such an incredible stove throughout your home. The 983 Fireplace Insert is exalted with beauty and performance. Built with exceptional design and Amish craftsmanship, the 983 fireplace insert meets all of your needs and desires of warmth and appearance. Built to fit most standard masonry fireplaces, the 983 allows for easy installation into existing fireplaces, while greatly enhancing the heat output compared to the traditional fireplace. Be amazed by the performance of the 983 fireplace insert, as it is designed to heat up to three thousand square feet and produce over one hundred thousand btu’s. Efficiency is a priority of all of Hitzer stoves, including the 983 fireplace insert. With an exceptional baffle plate system, sixteen directional air baffles, and two one hundred c.f.m. blowers the 983 captures and directs all of the warmth and heat into your home. With three cast iron grates, this allows for a large firebox, to produce heating options with multiple fuel sizes and types. Capture the traditional view of the fire through the large full-view firebox window. The 983 Fireplace Insert creates a warm and soothing environment, while providing cost efficient heat and beauty to one’s home. You will be astonished by the warmth and relaxation accompanied with the beauty of the 983 fireplace insert. 6″ or 8″ Other sizes may be special ordered. Hitzer model 82 Furnace is integrated with design and satisfaction. This stove utilizes the basic design of the model 82 stove, while capitalizing on the availability provided by preexisting ductwork. To meet the convenience of our customers this stove was designed to capture the heat produced by the stove and with the provided ductwork, distribute it directly to different locations throughout your home. This provides evenly warm heat to the locations you desire. By having an extra large fuel door and firebox this allows for multiple fuel types and sizes as well as btu ratings of 100,000 btu’s. With this exceptional design this stove has heating capabilities of up to 2,500 square feet. Developed to meet customer’s satisfaction the stove is accompanied with multiple available options to meet your needs. The 82 Furnace may be used as a radiant version or with an optional 980 cfm blower. Another popular option is an air filter housing system that can accompany a blower unit. The latest option for satisfaction and convenience is an optional water coil for heating domestic hot water. This stove can be used as a very cost efficient primary source of heat with amazing heat outputs. Relax and enjoy the qualities of this Hitzer stove. Hitzer model 55 Furnace is integrated with design and satisfaction. This stove utilizes the basic design of the model 55 stove, while capitalizing on the availability provided by preexisting ductwork. To meet the convenience of our customers this stove was designed to capture the heat produced by the stove and with the provided ductwork, distribute it directly to different locations throughout your home. This provides evenly warm heat to the locations you desire. By having a large fuel door and firebox this allows for multiple fuel types and sizes as well as btu ratings of 60,000 btu’s. With this exceptional design this stove has heating capabilities of up to 2,000 square feet. Developed to meet customer’s satisfaction the stove is accompanied with multiple available options to meet your needs. The stove may be used as a radiant version or with an optional 460 cfm blower. Another popular option is an air filter housing system that can accompany a blower unit. The latest option for satisfaction and convenience is an optional water coil for heating domestic hot water. This stove can be used as cost efficient primary source of heat with amazing heat outputs. Enjoy the qualities of this Hitzer stove.